英文摘要：A field survey on the distribution and density of Marco Polo sheep (Ovis ammon polii) was carried out from June to November 2017 in Taxkorgan Nature Reserve by using map strip sampling. In total, 1 236.48 km2 area was surveyed through 16 line transects. The results showed that O. a. polii was mainly distributed in Qialaqigu, Sarejilega, Seriketashi, Kalajilega, Pisiling and Zankan, etc. valleys. The population size of O. a. polii inhabited in the reserve was estimated as 1 278±569 in summer and 1 815±827 in winter. The herd size ranged from 2-98, and the average herd size was (14.54±1.33) individuals/herd. The ratio of female to male was 3.09:1 in summer and 3.83:1 in winter. O. a. polii have been endangered due to overgrazing, mineral exploitation and fences construction. It is crucial to promote the development of O. a. polii by establishing ecological compensation mechanism, building ecological corridors and limiting the number of domestic animals. 阿布力米提·阿布都卡迪尔, 戴志刚, 史军, 等. 2010. 新疆塔什库尔干高山-高原区盘羊和北山羊冬季资源调查报告[J]. 干旱区资源与环境, 24(11): 174-179. 高行宜. 2005. 新疆脊椎动物种和亚种分类与分布名录[M]. 乌鲁木齐: 新疆科学技术出版社: 208-210. 龚明昊, 戴志刚, 曾治高, 等. 2007. 新疆塔什库尔干自然保护区马可波罗盘羊种群数量和栖息地初步调查[J]. 兽类学报, 27(4): 317-324. 龚明昊, 张建军. 2010. 荒漠地区野生动物调查方法探讨——一种新的调查方法介绍[J]. 四川动物, 29(2): 320-324. 蒋志刚, 马勇, 吴毅, 等. 2015. 中国哺乳动物多样性[J].生物多样性, 23(3): 351-364. 李学辉, 王源. 2016. 中巴国际公路通道建设研究[J]. 公路交通科技(应用技术版), 12(12): 17-19. 梁果栋. 1984. 塔什库尔干野生动物保护区成立[J]. 新疆林业, 10(5): 26-26. 刘楚光, 余玉群, 初红军, 等. 2007. 马可·波罗羊(Ovis ammon polii)在中国境内的分布与现状[J]. 陕西师范大学学报(自然科学版), 33(S1): 155-160. 罗宁, 谷景和, 艾热提, 等. 1998. 新疆盘羊种群结构与资源现状[J]. 自然资源学报, 13(1): 46-51. 盛和林, 徐宏发. 1992. 哺乳动物野外研究方法[M]. 北京: 中国林业出版社. 汪松. 1998. 中国濒危动物红皮书 兽类[M]. 北京: 科学出版社. 王世锋, 谢芳, 王玉涛. 2012. 马可波罗盘羊研究现状与保护对策[J]. 家畜生态学报, 33(4): 106-109. 王玉涛, 戴志刚, 杨世杰, 等. 2016. 东帕米尔高原盘羊分布与栖息地植被覆盖时空变化[J]. 生态学报, 36(1): 209-217. 韦金丽, 王国波, 凌子燕. 2012. 基于高分辨率DEM的地形特征提取与分析[J]. 测绘与空间地理信息, 35(1): 33-36. 徐文轩, 夏参军, 杨维康, 等. 2014. 木垒国际狩猎场天山盘羊种群调查[J]. 动物学杂志, 49(5): 644-648. 余玉群, 郭松涛, 刘楚光, 等. 2009. 我国马可波罗盘羊种群数量和年龄结构[J]. 野生动物, 30(6): 293-296. 余玉群, 刘楚光, 郭松涛, 等. 2000. 天山盘羊集群行为的研究[J]. 兽类学报, 20(2): 101-107. 岳燕云. 2015. "中巴友谊路"喀喇昆仑公路重新贯通[J]. 大陆桥视野, 14(10): 19. 张玉凤, 丁淼, 柳万正, 等. 2016. 科克森山国际盘羊狩猎场盘羊种群结构研究[J]. 防护林科技, 34(3): 55-56, 68. 诸葛海锦, 李晓文, 张翔, 等. 2014. 青藏高原高寒荒漠区藏羚适宜生境识别及其保护状况评估[J]. 应用生态学报, 25(12): 3483-3490. CITES. 2017. CITES appendices Ⅰ, Ⅱ and Ⅲ[EB/OL]. (2017-10-04)[2018-06-21]. https://www.cites.org/eng/app/appendices.php. Clutton-Brock TH, Albon SD. 1985. Competition and population regulation in social mammals[M]//Sibly RM, Smith RH. Behavioural ecology: ecological consequence of adaptive behaviour. Oxford, United Kingdom: Blackwell Scientific Publications: 557-575. Fedosenko AK. 2003. Status of the argali (archar) populations in Russia and Republics of Middle Asia[J]. Beitrage zur Jagd und Wildforschung, 28: 143-149. IUCN. 2018. The IUCN red list of threatened species[EB/OL]. (2018-1)[2018-06-21]. http://www.iucnredlist.org. Khan B, Ablimit A, Khan G, et al. 2016. Abundance, distribution and conservation status of Siberian ibex, Marco Polo and blue sheep in Karakoram-Pamir Mountain area[J]. Journal of King Saud University-Science, 28(3): 216-225. Schaller GB, Kang A. 2008. Status of Marco Polo sheep (Ovis ammon polii) in China and adjacent countries: conservation of a vulnerable subspecies[J]. Oryx, 42(1): 100-106. Schaller GB, Li H, Ta LP, et al. 1987. 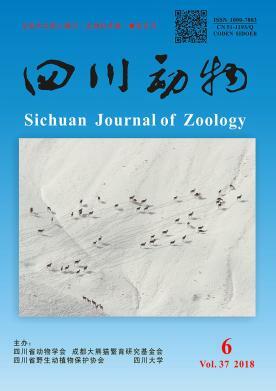 Status of large mammals in the Taxkorgan Reserve, Xinjiang, China[J]. Biological Conservation, 42: 53-71. Shackleton DM. 1997. Wild sheep and goats and their relatives[M]. Oxford: Information Press: 168-169. Valdez R, Michel S, Subbotin A, et al. 2016. Status and population structure of a hunted population of Marco Polo Argali Ovis ammon polii (Cetartiodactyla, Bovidae) in southeastern Tajikistan[J]. Mammalia, 80(1): 49-57. Virk AT, Kashif MS, Marwat AH. 2003. NASSD background paper biodiversity[M]. IUCN Pakistan: Northern Area Programme, Gilgit.